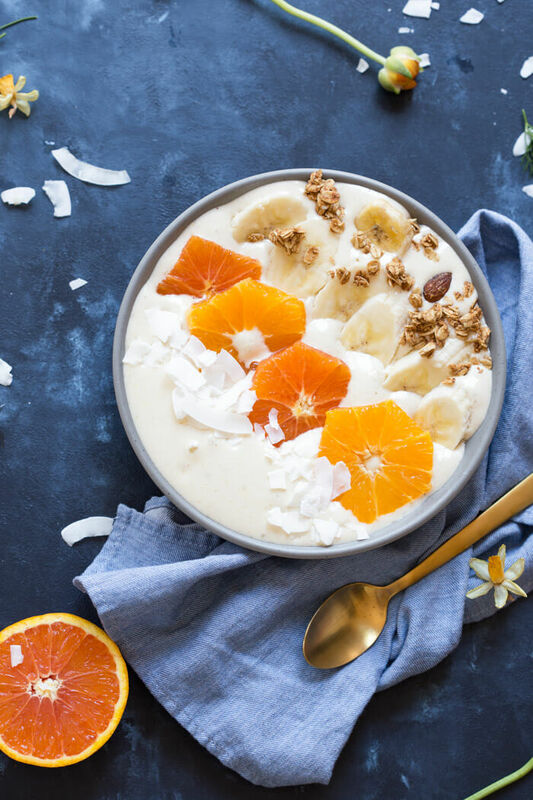 This Orange Creamsicle Smoothie Bowl post is sponsored by the Florida Department of Citrus. 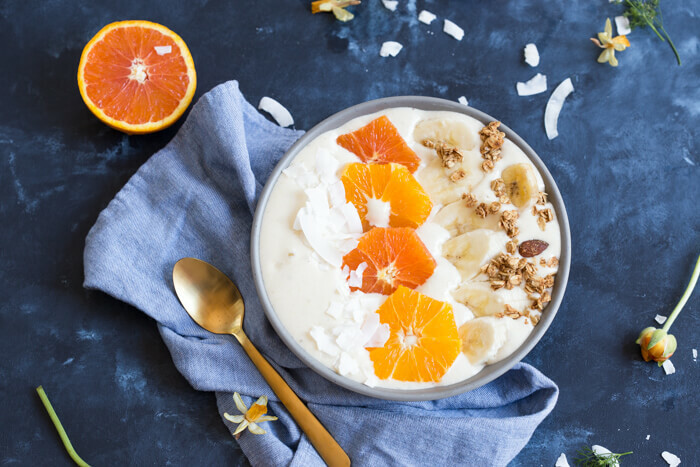 You guys… it’s National Orange Juice Day and I can’t think of a better way to celebrate than with this Orange Creamsicle Smoothie Bowl! 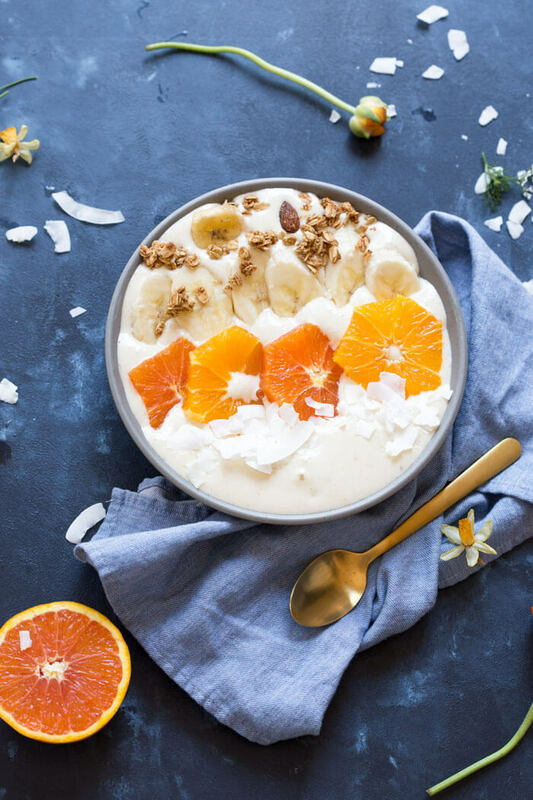 Many of you know I live in Orlando and was born and raised in Central Florida, so when the Florida Department of Citrus reached out create this Orange Creamsicle Smoothie Bowl, I’m all like YIPPEEEE… we’re going back to my roots! The smell of orange blossoms in the air, takes me back and there is nothing like fresh squeezed Florida Orange Juice from a grovestand! 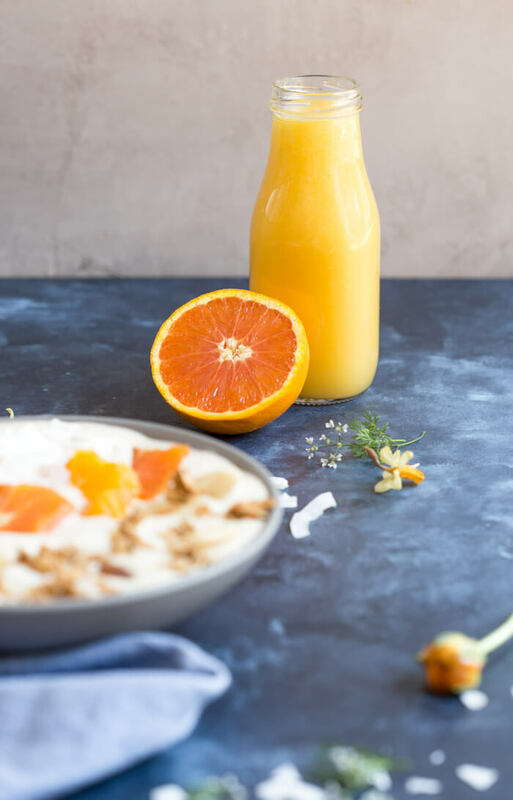 Orange you glad I made this Orange Creamsicle Smoothie Bowl for you with Florida OJ?? See what I did there? But really, there is amazing stuff inside Florida Citrus… one 8 ounce glass of 100% Florida Orange Juice has more potassium than a small banana and more than a day’s worth of vitamin C, important for a healthy immune system. It’s 100% Florida Orange Juice, that’s it. Love drinking a glass of nutrition the way nature intended. Okay, so because it’s such a BIG DAY for orange juice. 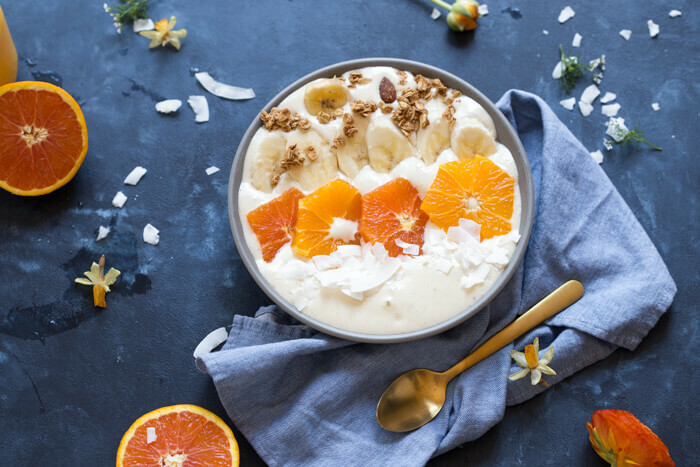 We are celebrating with a fun giveaway — so grab your Orange Creamsicle Smoothie Bowl (and spoon), and enter for a chance to win this awesome prize. Share a photo of you and/or your family enjoying Florida Orange Juice on Facebook and Instagram TODAY (May 4th) between 8AM EST and 5PM EST, using the hashtag #HowDoYouFLOJ. On Instagram you must also use hashtag, #sweepstakes. For more Florida OJ goodness, recipes and more visit FloridaCitrus.org and be sure to follow Florida Department of Citrus on Facebook, Instagram and Twitter. 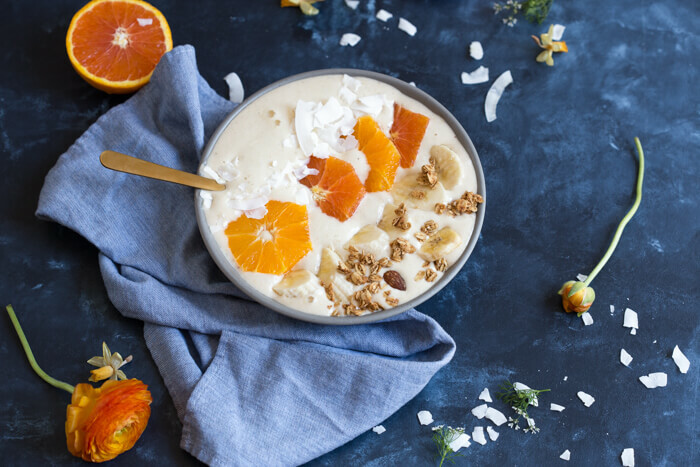 We also created a video for this Orange Creamsicle Smoothie Bowl. Enjoy! 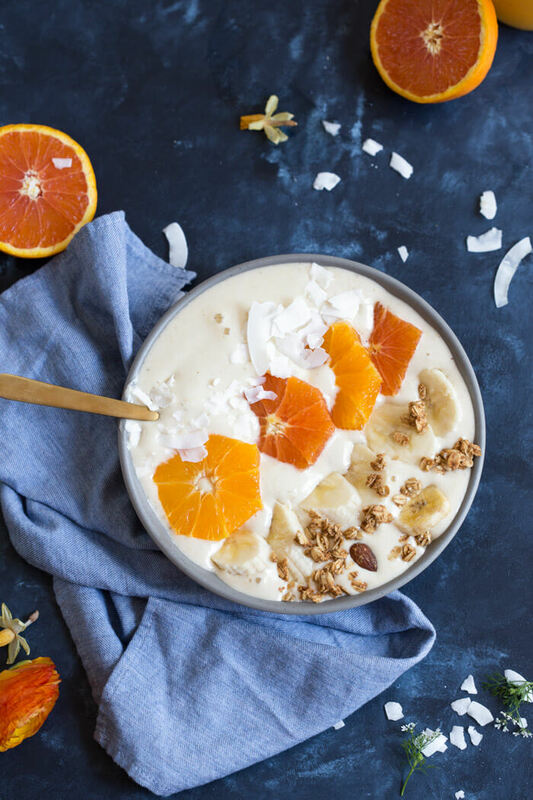 Orange Creamsicle Smoothie Bowl! Creamy, dreamy and everything you want in a smoothie that you can spoon. I love spooning my smoothies! Spooning > Sipping. In a blender, place frozen banana chunks, protein powder, Florida Orange Juice, and vanilla extract. Process until smooth.